With employers increasingly turning to robust strategies of selecting the ideal job candidate - such as gamification, team interviews and personality tests - the old standby still works well: references. Job postings continue to direct applicants to list a few references, who presumably can vouch for their character. Contacting these individuals - and asking them a series of questions - can speak to whether they're cut out for the position they're hoping to land. But what specific questions are the best to ask that can help you narrow down your search? There are lots of theories as to which are the most ideal, largely depending on what the responsibilities of a position entail. 1. How do you know the job candidate? This is perhaps the most fundamental question to ask because it can inform what follow-up questions you pose. For example, if it's a co-worker, the reference is likely privy to what the applicant is like to interact with and what strengths and weaknesses he or she has. They may be unable to note what they're like outside the office if their relationship is strictly business. 2. What qualities come to mind when you think of the candidate? Every person has his or her own idiosyncrasies that make them unique. If you ask multiple references this question, it should prove interesting what they say, especially if they point to the same characteristics, such as attention to detail, organized, conscientious or dependable. You may want to see how their responses correspond to the answers of the applicant. The best part of this question is you never know what the reference will say. Seemingly boring answers - like being punctual - may be key assets. After all, according to a recent poll conducted by CareerBuilder, approximately 25 percent of respondents said they tend to be late for work once a month or more. An ability to show up on time - and consistently - shows the applicant is respectful of people's time and understand the value of a good work ethic. 3. Why did the candidate leave? From seeking something different to taking advantage of a major career opportunity, there's no shortage of reasons for why workers leave one job for another. Sometimes, the rationales are pretty straightforward and understandable, such as wanting to be closer to home or their former job didn't offer advancement opportunities. Whatever their answer is, you can use it to inform your judgment about what matters most to the candidate. For example, if the applicant left his former place of employment for career reasons, it may suggests that he's a real go-getter and goal oriented. 4. What are his or her strengths and weaknesses? This is a question that's ideally posed to more than one reference. That's because out of loyalty to the applicant, the reference may say things that you want to hear rather than what's true. However, if two or three people speak to the same strengths, it's an indication that he or she really is what the references claim them to be. You may also want to probe a bit further and ask, gently, if the applicant has any weaknesses. No one is perfect and by making this understanding clear, the reference(s) you speak to should feel free to be forthcoming. 5. 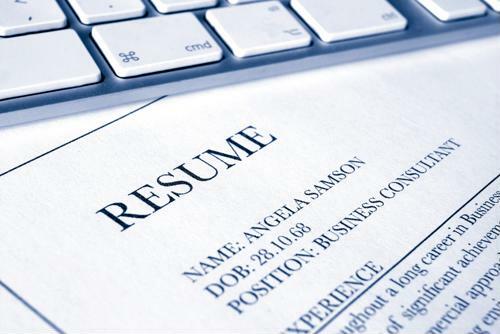 Would you (re)hire the job applicant? They're called boomerang employees - workers who decide to leave their employer, but ultimately come back when things don't work out at the place for which they originally departed. Business owners are turning to boomerang employees more often because they help to save on costs and don't have to provide training. It's part of the reason why 94 percent of senior managers say they wouldn't hesitate to rehire former employees, according to a recent Accountemps poll. However, it's safe to say that no one would rehire those who didn't do their job or were bad for company morale. Given this, be sure to ask the reference if they would be willing to accept the applicant were they to return. The reference doesn't need to be a business owners to answer; co-workers can put themselves in a hypothetical managerial situation to offer equally valuable insight.